We offer a wide variety of Roofing Services from minor roof repairs to full Re-roofing. We also offer Roof Cleans without water pressure. We specialise in all things roofing. Minor Repairs, Full Re-roofing, Flat Roofing (Felt, Rubber and Fibreglass) and Roof Cleaning. Our Re-roofing service comes with a 10-year guarantee. 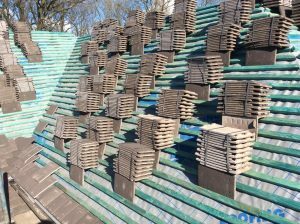 Our team is vastly experienced in all aspects of roofing. Our senior surveyor has 45 years experience in the roofing industry alone. For all your Roofing needs, we are here to help. 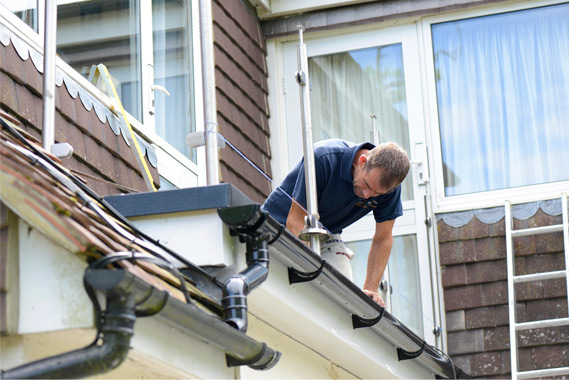 Our gutter cleans include a removal of all debris within the gutters, a thorough check of all downpipes for potential blockage and we will carry out any minor repairs to your gutters if needed. All work done by hand, no vacuum systems used. Having your gutters cleared can prevent the possibility of water damage to your home and save you further cost down the line. We recommend having a gutter service with us annually, in some cases twice a year.